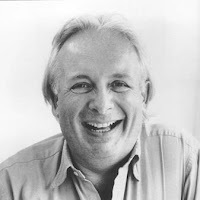 Hosted by Christopher Biggins at the Royal Albert Hall, The Night of 1000 Voices returns to raise money for Leukaemia & Lymphoma Research on Sunday 6th May 2012 at 8:00pm. The Night of 1000 Voices, the annual, star-studded event celebrating musical theatre at the Royal Albert Hall, is to take place on Spring Bank Holiday Sunday May 6, 2012 and will fundraise for blood cancer charity Leukaemia & Lymphoma Research. Since 1999, The Night of 1000 Voices has delighted capacity audiences at the Royal Albert Hall. On Spring Bank Holiday Sunday May 6, 2012, the 1000 Voices Massed Choir from all over the British Isles, Stephen Disley (organ) and The City of London Philharmonic will accompany some very special stars from London and New York in a musical night to remember. 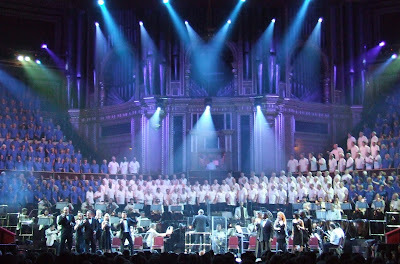 Special guests who have previously performed in The Night of 1000 Voices include Michael Ball, Glenn Close, Michael Crawford, Kerry Ellis, David Essex, James Galway, Joel Grey, Josh Groban, Gloria Hunniford, Brian May, Roger Moore, Elaine Paige, Adam Pascal, Philip Quast, Tim Rice, Cliff Richard, Claire Sweeney and Riverdance. Featured in 2012 will be some of the most requested favourites, including songs from Evita, The Lion King, Jesus Christ Superstar, Les Misérables and We Will Rock You. These are just some of the great shows which will be given The Night of 1000 Voices treatment, together with a sprinkling of some which may be not quite so well known. In 2012, The Night of 1000 Voices will be celebrating the Best of British and will again be for the benefit of Leukaemia & Lymphoma Research. Leukaemia & Lymphoma Research is dedicated to saving lives through leading UK research into better treatments and cures for all blood cancers including leukaemia, lymphoma and myeloma. These cancers are diagnosed in more than 30,000 children, teenagers and adults in the UK every year. The charity receives no government funding and relies entirely on people coming together to fundraise.